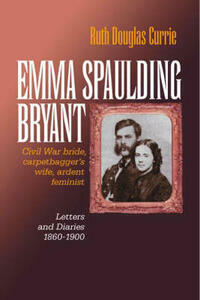 Emma Spaulding's life might have been the simple story of a nineteenth-century woman in rural Maine. Instead, wooed by the ambitious John Emory Bryant, the Yankee Reconstruction activist and Georgia politician, she became the Civil War bride of a Republican carpetbagger intent on reforming the South. The grueling years in the shadow of her husband's controversial political career gave her a backbone of steel and the convictions of an early feminist. Emma supported John's agenda-to "northernize" the South and work for civil rights for African-Americans- and frequently reflected on national political events. Struggling virtually alone to rear a daughter in near poverty, Emma became an independent thinker, suffragist, and officer in the Woman's Christian Temperance Union. 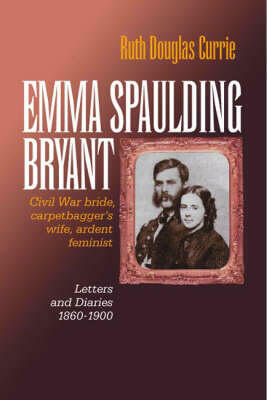 In eloquent letters, Emma coached her husband's understanding of "the woman question;" their remarkable correspondence frames a marriage of love and summarizes John's career as it determined the contours of Emma's own story-from the bitter politics of Reconstruction Georgia to her world as a mother, writer, editor, and teacher in Tennessee and, with her husband, running a mission for the homeless in New York. In this extraordinary resource, Ruth Douglas Currie organizes and edits their voluminous correspondence, enhancing the letters with an extensive introduction to Emma Spaulding Bryant's life, times, and legacy.